How many cups are in a 44 pound bag of dog food? Why Feed your Dog Dry Foods? So How Many Grams Does a Cup of Dry Dog Food Contain? How many cups are in a 33 pound bag of dog food? How many cups are in a 11 pound bag of dog food? How many cups are in a 30lb bag of dog food? Do you have a dog? If yes, then take note that one solution to keeping him safe and healthy is to ensure you are feeding him a sufficient amount of food. It should be the right amount. Note that, if you give him too little, then there is a risk he will suffer from nutritional deficiencies. Giving him too much might cause obesity. It can even lead to serious health problems, including musculoskeletal disorders, congestive heart failure, skin disorders, Cushing’s disease, and cancer. To avoid those issues, you really must know how much you should give your dog to supply him with balanced nutrition. For you to give him the right amount, knowing exactly how many grams in a cup of dry dog food is a must. It is because some dry dog foods will recommend a specific quantity based on grams or number of cups. By knowing that measurement, feeding him enough will always be a possibility. There are approximately four cups of dog food per pound. A 44 pound bag of dog food would contain 176 cups of dog food in each bag. One of the major reasons a lot of pet owners feed their pets dry dog foods is the convenience involved not only in feeding it but also in storing it. With dry food, you can leave it out for your dog to eat based on his own pace. That’s possible without having to worry about spoilage. A lot of dog owners even find it convenient to use one bowl with adequate food to feed their pets the whole day. That said,dry dog food is among the most convenient foods you can serve to your pet. Aside from allowing you to leave it out for hours or days without worrying about spoiling, it is also convenient in the sense you can easily store it. You just need toplace the dry dog food in a huge plastic bin that comes with a tight lid. Such is often enough to maintain the freshness of the food, while ensuring it is safe from rodents, insects, and other pets. Dry foods are also cost-effective, especially if you are trying to feed multiple dogs. Another reason to feed your dog dry food is it serves as an effective treat if you are training him. It also works as a highly efficient dental health supplement. You can find dry foods specially shaped and formulated so that it can clean the teeth of your dog as he chews them. It is also easy to find these foods in various types and sizes, so figuring out which one best suits the needs of your dog is easy. It is crucial for you to get an idea of the number of grams present in one cup of dry dog food. Knowing such measurement will also make it easier for you to feed your dog the recommended amount of the food. Here, remember that one cup actually equals8 ounces. Since an ounce also equals28 grams, then one cup of dry dog food is most likely around 224 grams (28 grams in an ounce x 8 ounces in a cup). You can use that figure as a guide in feeding your dog. A dog’s requirement as far as feeding him dry dog food is concerned depends on his weight and breed. Once you purchase dry dog food, check the directions in the package thoroughly to make sure you arefeeding him based on what is recommended. Basically, here is a short guideline on how much you should feed an adult dog based on breed and weight. Such guidelines also use an 8-oz. measuring cup. Such breeds often weigh up to 10 lbs. once they reach adulthood. In this case,it is highly recommended to feed them around 1/4 -3/4 cup of dry dog food. Adult dogs under the mentioned breed can weigh up to 10-25 lbs. Since they are heavier than the previous breeds, they also require a higher amount of dry dog foods (around 3/4 to 1 cup). Such breeds weigh more, around 25-50 lbs. With that weight, serving them around 1-2 cups of dry dog food is highly recommended. With a 50 to 75-lb. weight, adult dogs of the mentioned breeds require around 2 and ½ cups of dry dog foods. These breeds are among the heaviest adult dogs, as they can weigh more than 75 lbs. They need a higher amount of dry dog foods. Around 2-4 cups should be enough. If you still have a puppy, then note you can feed him based on the highest amount indicated on his breed. Also, note that,sometimes, it is ideal to divide the amount into at least two separate feedings, instead of feeding him just one huge meal. Here, you can divide the amount to two times a day. Also, remember that puppies must be fed more frequently compared to adult dogs. If you wish to add canned foods, then a wise tip is to cut the recommended amount of dry dog food by half then substitute the same with the canned dog food. Such will allow your dog to receive similar amounts of the recommended food. The only difference is it is a combination of dry and wet food. Also, remember that feeding him high-quality dog food will also lessen the frequency you mustfeed him. It is because such quality food allows him to utilize more, while pooping less. 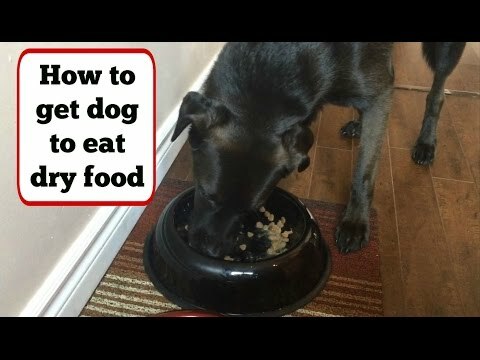 However, feeding him dry dog food containing plenty of fillers, like grain fillers or corn, might cause you to feed him more frequently so he can get the right amounts of protein needed by hisbody every day. There are approximately 4 cups of dog food per pound. A 33 pound of dog food would contain 132 cups of dog food per bag. When feeding your dog, remember that a cup actually refers to a definite unit of measurement for volume. Acup contains around 8 ounces or 224 grams. While some say an empty cup, container, or any other item that can hold water and food is enough for measuring the foods to serve your dog, it is still highly recommended to use the proper measuring cup. A proper measuring cup is crucial for feeding, considering that the obesity rate for pets in the US has increased in the past few years. Although over feeding is not the only reason for such high pet obesity rate, note that such is a major contribution to the problem. The good news is you can easily change it. Save yourself and your dog trouble by feeding him the right amount of food. Such is possible by investing in a set of proper measuring cups specially made for the dry foods of your dog. What’s good about these measuring cups is they are easy to find and inexpensive. Another tip is to make the feeding process more precise with a small kitchen scale. With the scale, weighing the food to feed to your dog will be much easier. You can check the feeding recommendations stated in the back of the dry dog food package. Usually,such recommendations are based on grams. You may also wonder if you can use a food scoop. If you are planning to use such a scoop, then look for fine lines on its interior that indicate where the one cup and two cup volumes are. Avoid using a food scoop without the mentioned lines. It would be best to go for proper measuring cups, instead. If your food scoop comes with the measurement indicators, then ensure you accurately measure the dog food. It should be up to the recommended line. Avoid going beyond it. Note that, even if you only slightly go over the required line, your dog might still subtly accumulate unwanted pounds. For small dog breeds, particularly those below 25 lbs., it is highly recommended to make use of a kitchen scale or a proper measuring cup. There are approximately 4 cups of dog food per pound. An 11 pound bag of dog food would contain 44 cups of dog food. Note it would be best to feed your pet with a diet free of grains. While being grain-free indicates it is a high-quality food, so it also costs more, it is still cost-effective. Feeding him high-quality, grain-free dry dog food will cause him to eat less. Such is possible because his body will most likely use the majority of what he is eating, while producing less waste. It also prevents you from having to spend more on consultations and treatments if he develops problems due to consuming a food of subpar quality. Prior to buying a dry dog food, make it a point to check and read the label containing its ingredients. Also, it would be best to purchase one from a local pet store as you might find it more difficult to find a high-grade food in a grocery store. It is crucial for you to feed your dog on a specified schedule daily. Stick to it. Note that feeding him on a schedule will also help him stick to his bathroom schedule. Consult your vet regarding the number of times you have to feed him daily. Aside from sticking to his feeding schedule, it is also highly recommended to feed him the same brand and kind of dry dog food daily. It is mainly because, unlike humans, his digestive system will be incapable of handling food changes. Such might only result in diarrhea and upset stomach. If you wish to switch to a new food, then do it gradually. You have to make a slow transition by mixing portions of the two foods – the old and the new. Do that until you have phased out his old food slowly. Avoid making sudden changes as it might only trigger diarrhea. Check the feeding instructions stated in the dog food. Aside from that, it is also crucial to consult your veterinarian. That’s the key to preventing the risk of overfeeding him. It is also a must to monitor his activity level and weight. That way, it would be easier for you to make any adjustments on feeding when necessary. Another tip is to give him a workout to maintain his weight. Such is possible by taking him out for longer and more frequent walks. Alsoplay with your dog occasionally to keep him moving. There are approximately 4 cups of dog food per pound. A 30 pound bag of dog food would contain 120 cups of dog food. Feeding your dog the right amount and preventing overfeeding is possible if you are fully aware of how many grams in a cup of dry dog food. It is also crucial to spend time checking the feeding guidelines and instructions stated in the dog food package. If you are still unsure, then it might be necessary to seek the help of a veterinarian.